Over the past year, many spirit brands have turned to innovation to grow their businesses. For the most part, it’s been a very successful strategy and new product lines and types, like Jack Daniel’s Tennessee Honey and Jim Beam’s Jacob’s Ghost, have blazed new trails and found strong success for their brands. Pernod Ricard has looked to their popular Malibu (coconut flavored rum) brand as a key player in the innovation game. Last year, Pernod had a solid launch with Malibu Red, a fusion of tequila and rum which mixed easily and appealed not only to current Malibu drinkers but also reached out to court new ones. 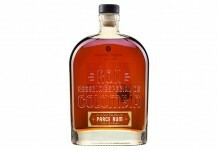 One of the significant trends we’ve seen so far in 2013 is the push for low calorie spirits. Diageo made a significant push in this space with their Light Sorbet Smirnoff vodka line that delivered indulgent flavors with reduced calories. 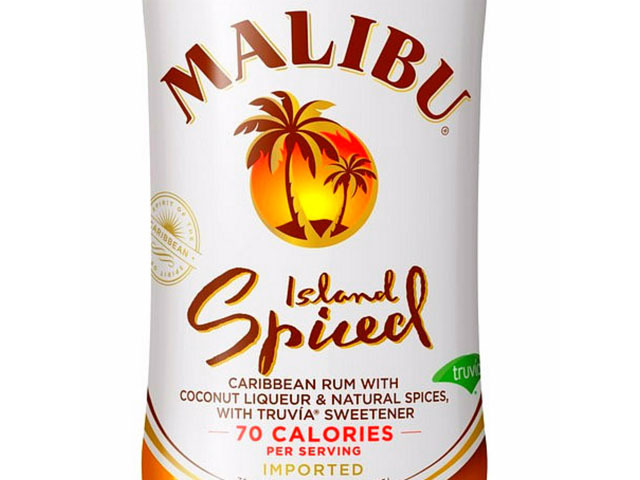 With Malibu Island Spiced, Pernod is jumping into this quickly accelerating low calorie trend. Instead of delivering a lighter version of their standard Malibu product, Pernod positioned their entry into the questionably relevant world of spiced rum. While spiced rum has been a key driver for rum in America, many rum experts see it as a transitory step toward aged rums and a category which, although historically popular, will ultimately be in decline. It’s surprising that Pernod didn’t turn their focus to a low calorie coconut flavor or even something low cal and creamy to compete with Rumchata. Pernod made another interesting choice with their new Malibu innovation release: instead of reducing calories by just reducing proof, or using a conventional low calorie sweetener, Malibu turned to Truvia, a brand name for stevia, to sweeten the spirit (it also contains erythritol, a sugar alcohol that is not digested by the body) . While stevia-based sweeteners have seen a rise in popularity, mostly because they can be labeled “all natural,” Truvia delivers its sweetness in a dramatically different way than drinks sweetened with saccarine or sucralose. This can lead to clash of sweeteners when mixing Malibu Island Spiced with a mixer that uses a different source of sweetener, like Diet Coke or Coke Zero. Malibu Island Spiced (30% ABV/ 60 Proof, $16.99) – light gold in color, this flavored rum smells a lot like a pumpkin pie spice scented Yankee Candle, complete with cinnamon, nutmeg, vanilla, and wax. It’s neither an inviting nor pleasant nose. 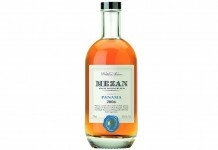 The entry is very light with many of the same notes from the nose following into the palate. The flavors are extremely artificial and it tastes a lot like either licking a scented candle or tasting a scented body wash. There’s a very thin feeling to the mouthfeel that will be a mismatch to those who’ve enjoyed the heavier feel of standard Malibu or Malibu Red. In the midpalate things beging to fall apart. The initial light, sweet, spiced notes from the entry step back and give way to a sharp off-putting rum bite and sharper spice. It’s in the midpalate where the Truvia sweetener emerges, its strong and artificial sweetness crash-landing on the palate and never leaving. The finish is all Truvia with just a hint of the initial flavors – it’s dry, off-putting, and completely unpleasant. Surprisingly the major element that people turn to Malibu for – coconut – is muted in this release. While there is a coconut essence to the mix of flavors, it’s hard to pick out, and tasted blind it wasn’t even listed as a flavor note on everyone’s tasting sheet. Mixing with Malibu Island Spiced is like trying to polish a turd. The Truvia taste clashes with other low calorie sweetened soda, especially Coke Zero. It doesn’t do much better with Sprite Zero. We tried to make Malibu Island Spiced play well with many of the classic spiced rum drinks, including Tony Abou-Ganim’s excellent Cable Car cocktail (which traditionally uses Captain Morgan Spiced Rum) and the spice notes were either too artificial, too thin, or the Truvia sweetener was too off-putting to work. Once we got this Truvia sweetened spirit into our mouths, we couldn’t get rid of it. No amount of rinsing, swishing, or brushing would clear it from our palates. It’s easy to understand the allure of low calorie in the spirits space (who wouldn’t want to be able to indulge and not worry about their waistline? ), but this isn’t the way to get there. Malibu Island Spiced rum is nothing short of a complete flop. It’s one of the worst products we’ve tasted in a while and a clear misstep for the Malibu brand.